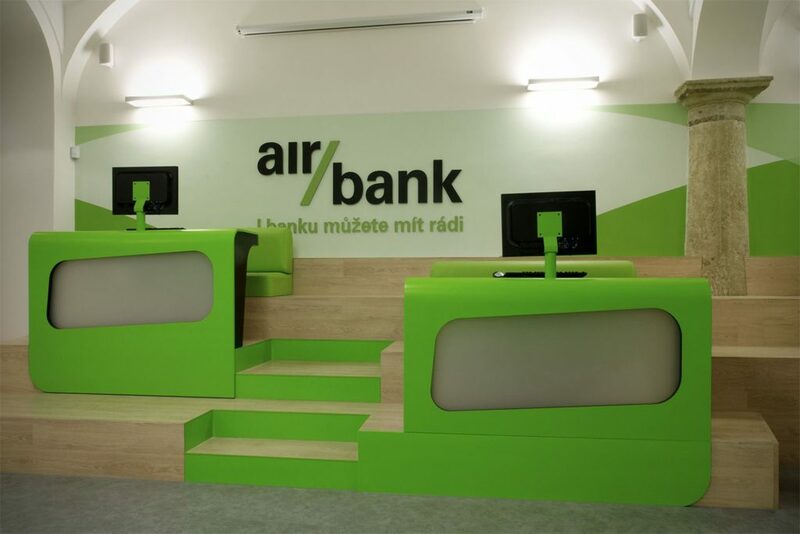 In 2010 IBA together with concept architects Crea International created an interior Concept for the retail branches of this new Czech bank. Since then we have rolled out nearly 50 branches and kiosks carrying out all design and permitting services. 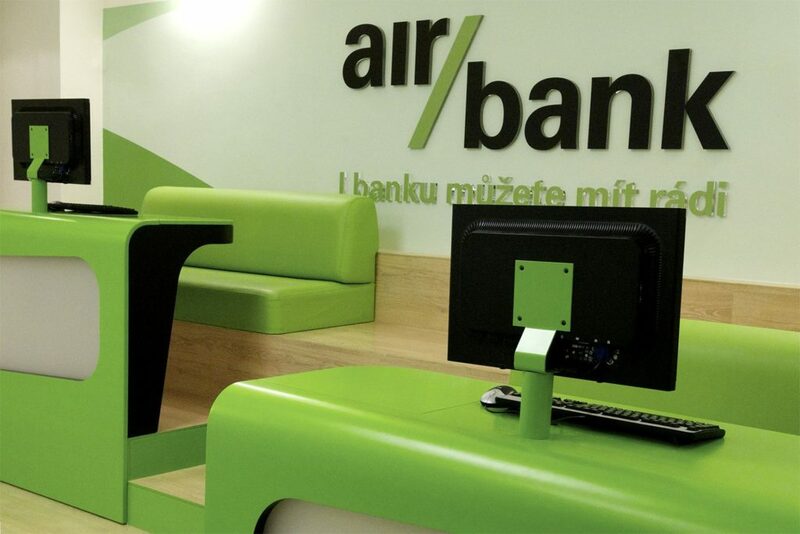 The designs emphasize openness and informality in response to Air Bank’s fresh approach to retail banking. 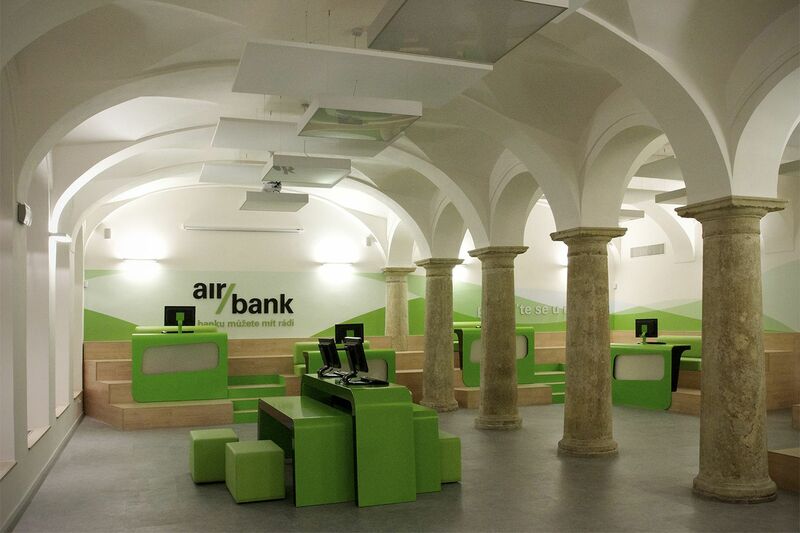 The distinctive green and white interior is now instantly recognisable in towns and cities across the Czech Republic.